Since the day Karan Johar made the announcement that Sridevi’s daughter Janhvi Kapoor is going to make her debut with Shashank Khaitan’s directorial, all eyes have been on the film. And finally, today the movie Dhadak trailer is released. The trailer of the movie hit the internet this noon, and it looks very promising. Along with Janhvi Kapoor, we will also get to see Ishaan Khatter who did a fab job in his debut movie, Beyond the clouds. 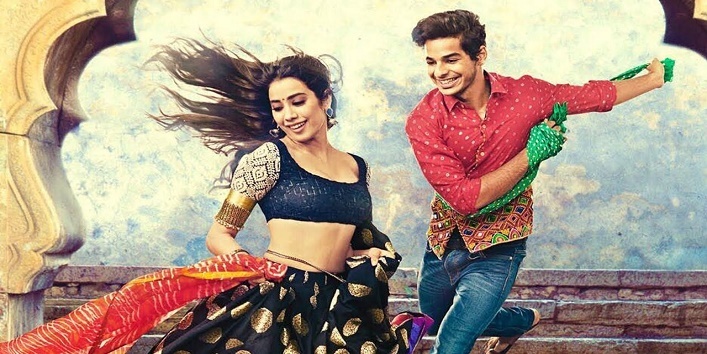 The movie Dhadak is basically the adaptation of the Marathi movie, Sairat which revolved around the love story of a boy and girl who belonged to the different classes of the society. In the movie, Janhvi is portraying the role of a bubbly girl who belongs to a political family. While Ishaan is portraying as a middle-class guy. The backdrop of the movie is set in Rajasthan which looks quite refreshing. The story starts with two young people falling in love who later discover that their nascent love is going to end in a disaster. But will they be able to save their innocent love from the cruel intentions of people? Well, for this, you need to watch out the movie.